Big data for catastrophes sounds like an oxymoron. It’s precisely because of the lack of historical data that actuaries have left catastrophe modeling and loss estimation to external third parties specializing in model development. The catastrophe model vendors have developed proprietary techniques for extrapolating from the limited data using statistical analysis, scientific opinion and expert judgment. Catastrophe modeling is the antithesis of big data analytics. Hurricanes and earthquakes that produce major losses are rare phenomena, so there’s not a wealth of scientific data for estimating the frequencies of events of different magnitudes in specific locations. But when a significant event occurs, the tens of thousands of resulting claims provide the big data surrounding catastrophes, and this data is very valuable for improving catastrophe models. Here, Karen Clark explains how insurers can leverage their own claims data for more credible catastrophe loss estimates and for competitive advantage. But when a major event occurs, there’s a wealth of claims information that can be used to improve the models. In particular, claims data can be analyzed to fine-tune the damage functions in the vulnerability module—one of the four primary model components. In order to fully leverage this valuable information, insurers require the right tools and processes in place. Historically, insurers have not put too much emphasis on the efficient collection and analysis of their catastrophe claims data for modeling purposes because it was not possible to directly leverage this information in the third-party models. At best, insurers could give their loss data to the model vendors to help the vendors improve their generic or “industry average” damage functions. In general, the data available to the modeling companies has been limited in scope and the resolution and quality has varied widely. Now that new tools and open loss modeling platforms are enabling companies to directly access and customize the model damage functions, more insurers are investing in processes and systems for effectively mining their catastrophe claims data. Model damage functions that are fine-tuned to an insurer’s actual claims experience not only lead to more credible loss estimates but can also lead to competitive advantages in pricing and underwriting as is true in other areas of predictive modeling. There are several steps in building robust predictive analytics around catastrophe claims. In general, in order for the claims data to be suitable for modeling purposes, it must be matched to the contemporaneous exposure information. This is because the model damage functions are based on mean damage ratios (MDRs) that relate the claim amount to the value of the exposure. Within many insurance companies, the claims systems and databases are separate from the systems providing the exposure information for the catastrophe models. This means either automated or manual processes must be established to connect the data by policy number and unique identifiers. Ideally, for each claim, the loss amount will be broken out by coverage type and the cause of loss specified. Each claim will be matched to the contemporaneous policy details, including coverage amounts, deductibles, geocoded location, construction, occupancy, year built and height details. Once the details of each claim are available by location, the event intensity at every location must be specified. This is one of the most challenging aspects of the process because for most events there is limited information on the intensities across the impacted area. For example, there are typically few reliable measurements of hurricane wind speeds over land. For earthquakes, if the event occurs in a highly instrumented area, there will be reliable information from seismographs, but if not, ground motion measurements will be limited. Armed with detailed claims and exposure data and robust estimates of location-level intensities, insurers can start to see how the MDRs are correlated with intensity—the essence of the catastrophe model damage functions. For example, what’s the MDR when hurricane wind speeds are 100 mph vs. 80 mph? How does the MDR at 100 mph vary with construction, year built and other building features? Insurers are even going beyond what’s currently included in the traditional models and testing the correlations of other policyholder attributes with the MDRs. These detailed analyses will reveal valuable insights into the key drivers of claims that can be incorporated into pricing and underwriting strategies. Insurers that have these insights will develop competitive advantages over those that don’t. The data should also be cleaned for outliers that could be the result of erroneous data. For example, a very high MDR for a property right on the coast but in a low-wind-speed area could be the result of storm surge damage miscoded as wind. This is where the “art” of modeling meets the science. The final step is to test and fine-tune the customized damage functions. To do this, insurers use the new damage functions to estimate losses for other historical events. How well do the modeled results match the actual results for those events? Actuaries should be familiar with the iterative nature of modeling. Of course, the above is just a high-level overview of the process, but it demonstrates that with not too much investment, insurers can gain valuable insights from their catastrophe claims data. 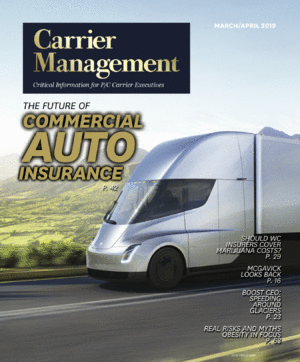 Insurers embracing the new open loss modeling platforms can override the Reference Model damage functions with their own customized versions based on these advanced analytical techniques and tools. No insurer is likely to be the “average” insurer represented by the vendor model damage functions. Every insurer has their own insurance-to-value assumptions, policy structures and claims-handling practices. All of these factors will heavily influence the MDRs discussed above. The only way for an insurer to have model damage functions that most credibly reflect their own experience is to utilize their own proprietary data along with sophisticated tools to mine and analyze it. More credible catastrophe loss estimates. Better information on likely claims during “live” events. In-depth knowledge of key drivers of claims. Prices that better reflect the underlying risk. Higher confidence in underwriting decisions and strategies. Collectively, these benefits lead to significant competitive advantage for insurers writing property lines of business.